June 25, 2014 /in Athlete's Foot, Toenail Fungus Treatments /by Jenn F.
Two names stand out in the world of antifungal foot creams: Lotrimin and Lamisil. Lotramin uses prescription-strength Butenafine to treat athlete’s foot, whereas Lamisil uses prescription-strength terbinafine to treat foot fungus. If you have tried these medications and they did not work for you, there are a few other options that Amazon buyers say have provided favorable results. We look at some of the top picks for antifungal creams. June 12, 2014 /in Foot Health & Hygiene /by Jenn F.
In elementary school, we learn about symbiotic relationships: the lamprey that cleans debris off the shark; the bio-luminescent bacteria that attracts food for the anglerfish; the bees that pollinate the flowers. We tend to think of ourselves as autonomous beings, but — just as you are comprised of cells and genes — you are also comprised of microscopic organisms from your environment. Sometimes these trillions of microbes help us, such as the case of the one kilogram of intestinal “good” bacteria. Yet, other times, the parasites take advantage of their kindly hosts, causing them harm. You can see the spores of candida albicans in this image. June 10, 2014 /in Foot Health & Hygiene /by Jenn F.
If you’ve ever struggled with foot fungus like athlete’s foot or toenail fungus, then you know firsthand just how aggravating the problem can be. Naturally, you want to do everything you can to beat these unwanted pathogens. The easiest place to take care of business is the shower. The makers of the SteriShoe Ultra-Violet Shoe Sanitizer, the only clinically proven way to sanitize footwear of fungus and bacteria, have assembled a helpful list of antifungal soaps (made with tea tree oil) that you may use in addition to their product. Tea tree oil is a natural antifungal agent. 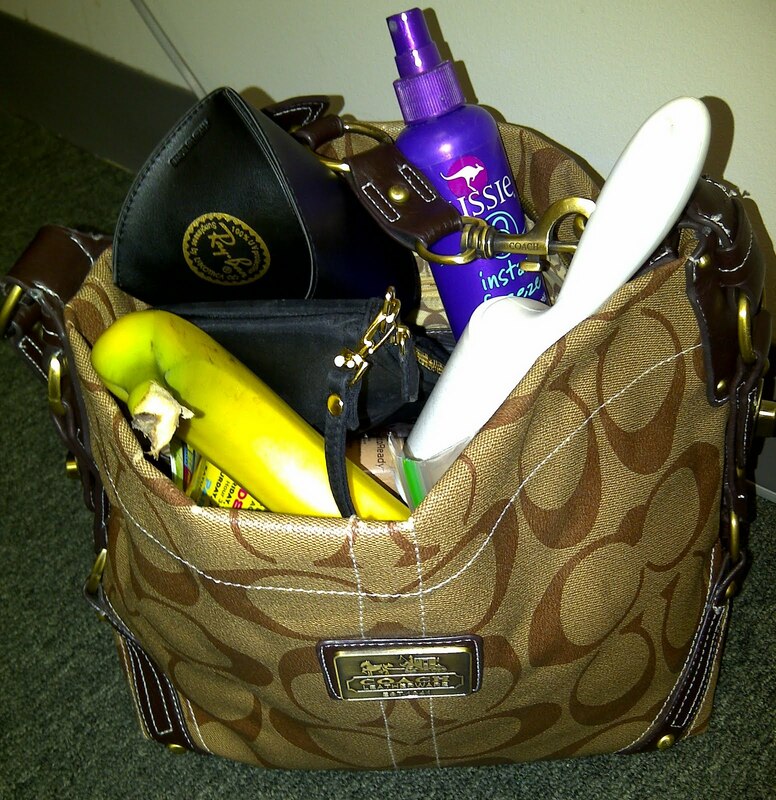 Being Prepared for Anything: Does Your Handbag Contain Athlete’s Foot Prevention Items? June 5, 2014 /in Athlete's Foot /by Jenn F.
Any woman will tell you that some pretty weird items can be found inside any given handbag. Some of these items may even be quite embarrassing. From tiny flashlights and “emergency” packets of peanut butter, to packets of moleskin and tweezers, there’s no telling what you’ll find in a woman’s bottomless pit of a bag. Many women also carry slipper shoes in their purses — they go by names like Rollasole, SpareSoles, and Dr. Scholl’s Fast Foldable Flats — for more reasons than one. Perhaps it’s to give themselves a break from the relentlessness of heels… or perhaps it’s to avoid getting athlete’s foot fungus from other people’s houses! What odd items are in YOUR handbag? Make sure you’re prepared with foot care products! Olive Farmer Discovers Super Sanitizer: Can It Treat Foot Fungus Too? January 14, 2014 /0 Comments/in Foot Health & Hygiene /by Jenn F.
Several years ago, Merritt Erickson of Orland, California was an olive and almond farmer looking for a better way to kill botulism and preserve his fresh olives. He developed a revolutionary new sanitizer along with his friend and colleague, Dr. James Postma, a professor of biochemistry at California State University at Chico. They called the sanitizer “Organic Chico Wash” and obtained FDA approval to clean produce and wash cow teats. However, the team believes the application of their discovery can be much more far-reaching — treating warts, foot fungus, and ringworm as well. Merritt Erickson has developed a super sanitizer for agriculture with possible cosmetic applications as well. January 9, 2014 /0 Comments/in Athlete's Foot /by Jenn F.
IBM is not just a Silicon Valley computer company. It’s a leading research think-tank that uses nanotechnology to tackle numerous problems — including athlete’s foot! According to a recent news report, IBM researchers have engineered common plastic into a nanomedicine that can attack antibiotic-resistant fungi. The nanomedicine is 1,000 times smaller than a grain of sand and zeroes-in on bad cells within the body, taking them out with deadly precision. If this breakthrough in antifungal technology takes off, it can help roughly a billion people a year. 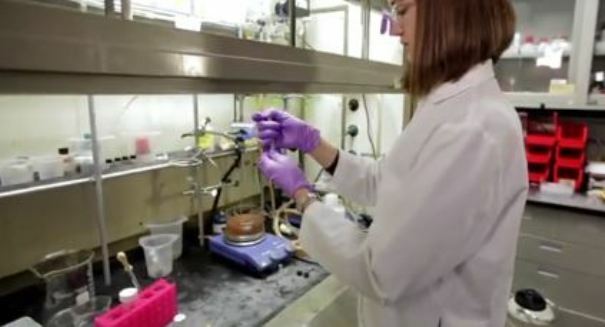 IBM researcher Amanda Engler works with antifungal nanotechnology. Home Remedies: Is Salt an Effective Cure for Toenail Fungus? January 3, 2014 /0 Comments/in Toenail Fungus Treatments /by Jenn F.
Does salt work as a natural cure for toenail fungus? Find out here! December 31, 2013 /0 Comments/in Toenail Fungus /by Jenn F.
“I’m not always immaculately groomed, though I do always sport glossily painted toenails. But it’s not as glamorous as it sounds,” writes Leah Hardy for the Daily Mail. “The polish disguises the ugly yellow discoloration on my big toenails, caused by a fungal infection I’ve had for years,” she explains. Her problem is not at all uncommon. Since treatment has been notoriously time-consuming, ineffective, frustrating, and even dangerous, many people have simply learned to live with their unsightly fungal nails — choosing to paint over them, rather than cure them. Toenail fungus treatments are time consuming and frustrating. December 6, 2013 /0 Comments/in Toenail Fungus Treatments /by Jenn F.
Drug side effects are usually associated with unpleasantries like diarrhea, headaches, and nausea. However, a team of Rutgers Medical School researchers discovered an unlikely side effect for a drug commonly prescribed to treat toenail fungus: HIV cell death. At least, that’s the case in cell cultures. Clinical human trials are still needed, but the early findings are very exciting for scientists. Could the cure for HIV really have been beneath our noses the whole time? December 5, 2013 /0 Comments/in Athlete's Foot /by Jenn F.
My sister’s friend came over one day and proudly declared, “Check this out. I have ringworm.” I instinctively recoiled and suddenly wanted to be as far away from her as possible. Indeed, the name “ringworm” strikes fear in the hearts of all who hear it; but, really, “ringworm” is a misnomer because this skin condition is not actually a parasitic worm at all! Affecting 10 to 20% of the general population, ringworm is a fungal skin infection that causes a circular, red, scaly rash with wavy, raised edges. Admittedly, it does look a little like a worm biting its own tail! Yet, you needn’t feel overly grossed out by it. Ringworm is actually the same exact infection as “jock itch” and “athlete’s foot” — except that it is not just confined to a person’s nether-regions or feet. Ringworm generally affects the scalp, nails, arms, legs, or face. Like any fungus, it can spread easily. The Healing Wonders of Moose Saliva: Could It Be a Legit Foot Fungus Treatment? Why is Lotrimin Restricted in California? *Studies show that shoes are contaminated with microorganisms that cause foot infections. (Source: Journal of American Podiatric Medicine Association 2012 Jul-Aug; 102(4):309-13.) The SteriShoe sanitizer is not a medical device and does not treat toenail fungus, athlete’s foot or other foot infections. SteriShoe is for use inside shoes and not on feet. SteriShoe promotes good hygiene and is recommended for use in conjunction with toenail fungus and athlete’s foot treatments. SteriShoe is a registered trademark of Shoe Care Innovations, Inc. in the United States and other jurisdictions.